Auditorium design continues to be challenging, but the major issues change from year to year. Many current auditorium buildings are required by clients to make an architectural statement, several using so called “starchitects” to deliver eye-catching symbols for their city. This raises new challenges for acoustic design. Though auditorium acoustics design has reached a certain level of maturity with many questions resolved, much remains to be discovered. The highly successful series of Auditorium Acoustics conferences continues with a meeting in Germany in October 2018. It follows the opening of a significant new concert space in Hamburg in January 2017. 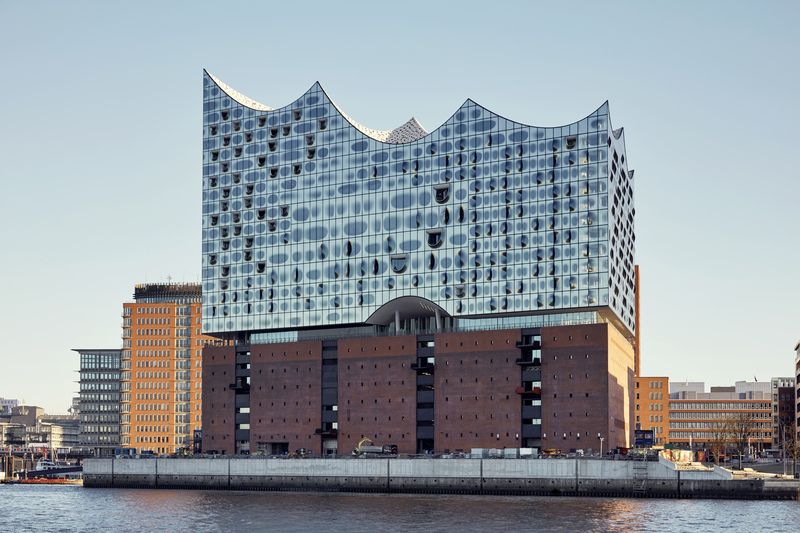 The centrepiece of the Elbphilharmonie is a stunning 2,100 seat concert hall situated in a unique location in Hamburg’s historic port area. The architects of the new hall were Herzog & de Meuron with the acoustic design by Nagata Acoustics. 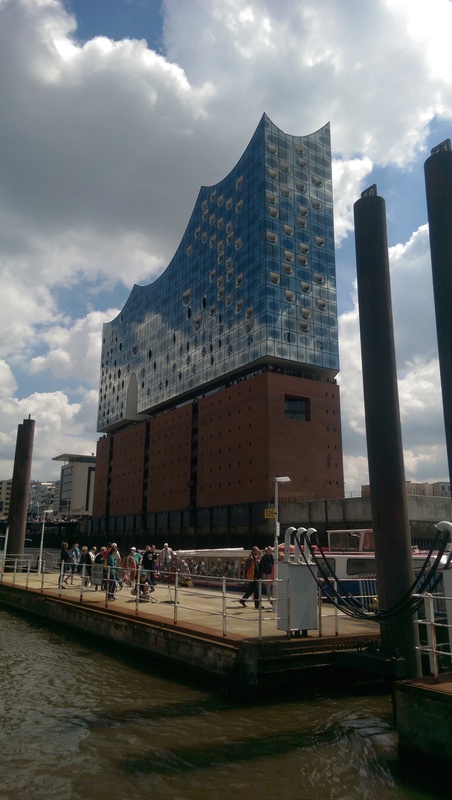 The Elbphilharmonie will provide the venue for the conference. Located in the flow of the River Elbe at the western point of the HafenCity Hamburg, opposite the Landungsbrücken piers and in close proximity to the Speicherstadt, Kontorhausviertel and Chilehaus UNESCO World Heritage Site, the Elbphilharmonie Hamburg is positioned between the docks and the city centre, and is regarded as Hamburg’s new landmark. The spectacular, 110-metre-high glass facade rises up like a wave of glass, and literally seems to hover above the rugged brick base of the historic quayside warehouse. With seating for up to 2,100 guests, the Grand Hall is the true centrepiece of the concert hall designed by Swiss architects Herzog & de Meuron. The seats rise in a steep incline to encircle the stage for an entirely new music experience, rooted in acoustic perfection and an unprecedented closeness between artists and concertgoers. An organ with 4,765 pipes also forms part of the Grand Hall. In addition, the complex contains the multifunctional Recital Hall with 550 seats and the interactive »World of Instruments«, housed in the Kaistudios; and there is a hotel with 244 rooms, residential apartments, a multistorey car park, restaurants and cafes. The spacious Former Main Customs Office is located directly beside the Zollkanal (customs canal). The impressive building in which tea, spices, coffee and tobacco from all four corners of the world were once inspected affords a unique location: it lies at the very heart of the historic warehouse district yet is also just a stone’s throw from the city centre. There are many more hotel in the city centre and surrounding districts. https://shop.elbphilharmonie.de/en/guided-tours the tour dates are released 12 weeks in advance. The rates include the three days of conference, refreshements, lunches, conference dinner and proceedings. It is also possible to book for one day, the rates quoted are for one day, lunch, refreshments and procedings. It does not include the conference dinner but this can be booked separataly. Subscribe to the IOA event calendar.